We started with web sites in their most simple form as online business cards with the requisite contact data, regardless of the domain name the information was hosted on – that was the beginning of web 1.0. We’ve come a long way since then, with ever more complex functions and levels of interactivity possible online, but still – domain names are more often a function of brand identity and business and personal touchpoints than single-purpose locations for ever more granular data assigned to separate domains. We now have what appears at first glance to be a domain name intended as an internet business card with complete contact data served up publicly on a curiously non-hosted domain. This interesting animal is showing nothing but (extensive) contact data. It starts with the basic of phone numbers, emails, web sites, street addresses linked to maps, and including hyperlinked entry into all social networking pages. Kind of an expanded Whois which not only serves up contact data for the single representative of the domain owner, but any and all other contact data. This seems like a domain named equivalent of Plaxo.com. This all appears to come with many layers of privacy protection so that you can offer only limited information publicly and more details to those you’ve “Friended” via an application process. But as always – one has to seriously question the levels of security and trust you are placing in the organization hosting this data on their servers. Hacker proof? Secure login and protected systems that cannot be accessed by anyone but the owner (that’s you). Still, it’s an interesting prospect to have a single place to go for a globally accessible sort of phone book with granular access controls and privacy. It appears to allow instant editing from any web interface – so if you add a business location for your office in Los Angeles, it can be easily added to contact data for businesses. Email addresses and phone numbers can be added or edited at any time, assuming that secure login again. The odd part of this concept is the idea of UNIQUE domain names. On the site, they show video tutorials which explain how businesses might reserve their corporate name as say, Apple.tel and list all of their worldwide offices, sales outlets and perhaps a staff directory of contact data and job titles. OK, that makes sense for those with registered trademarks and worldwide ownership of a corporate name. What about individuals, which TelNic separates out to “Individuals” links and shows an example of an imaginary “Emma.tel” which of course belongs to a person named Emma – but what of the fact that there are several tens of thousands of Emma’s who might (eventually) want that dot tel domain name? And forget it if your name happens to match a major corporation as they will undoubtedly qualify for ownership of surnamed companies, like oh – Ford.tel or McKesson.tel or similar instantly recognizable company names. The .tel domain name itself brings images of “Telephone” and the registrar promotes it as viewable “on any platform” which also suggests phone accessibility, not to mention the demos on the site picturing several phone browsers, including the iPhone. 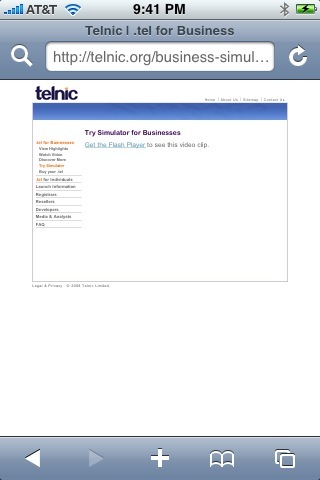 But it seems to be more about a sort of directory and the TelNic Site says “Tell the World” as part of their promotion. Below is the official press release which came out on Saturday. PDF Version of Press TelNic Launch Announcement Press Release here. and Sponsoring Organization for the new sponsored top level domain (sTLD) .tel, today announced details for launch at the ICANN meeting in Paris. Sunrise applications from national trademark owners will be accepted on a first-come, first-served basis as of Wednesday, 3rd December 2008. As well as announcing its launch, Telnic unveiled its new website –http://www.telnic.org – for people to find out more about .tel. The Telnic website hosts comprehensive videos, information, policies and procedures for registrars, resellers, developers and IP owners. Founded in 2000, Telnic Limited is the UK-based Registry Operator and Sponsoring Organization for the new .tel sponsored top level domain (sTLD). 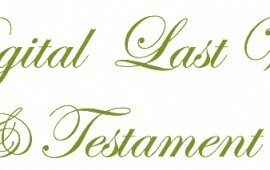 For more information regarding the .tel domain or Telnic Limited, please visit http://www.telnic.org.